Quai d’Orsay | One quality, the finest. I’ve had a bit of a crush on Dominique de Villepin since his speech before the U.N. in 2003. He is eloquent, handsome, and suave. What’s not to love? Well, possibly quite a lot. 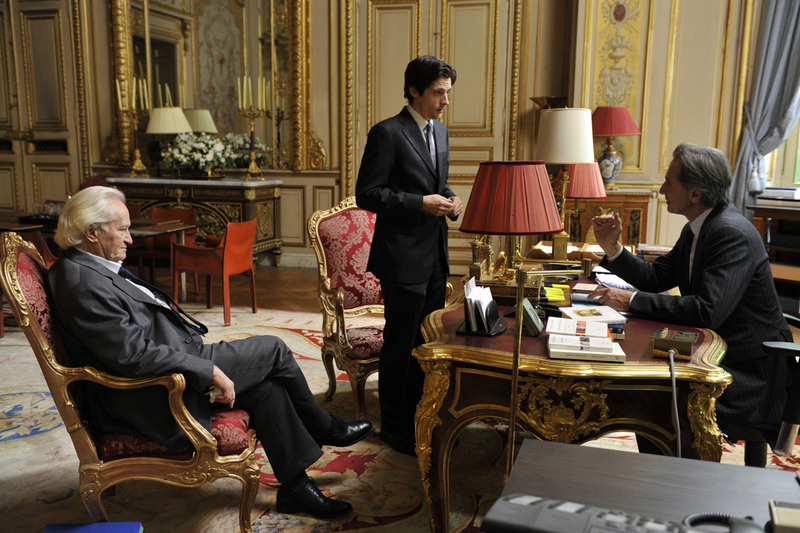 Last week, I watched a hilarious 2013 French comedy entitled The French Minister on Netflix. Thierry Lhermitte plays Alexandre Taillard de Vorms, a character clearly based on the dashing de Villepin. The intellectual with the aristocratic demeanor was the Minister of Foreign Affairs and then Prime Minister during Jacque Chirac’s final years in office. The film is from the point of view of de Vorms’ speech-writer who strives mightily to satisfy a capricious boss who spouts obscure citations from Greek philosopher and constantly changes his mind about the contents of his speeches. De Vorms slams doors and makes papers swirl in his wake as he frenetically strides about the Ministry. 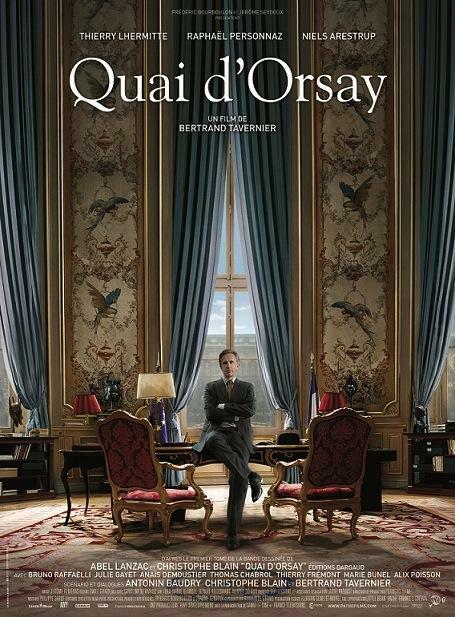 The French title of the film is Quai d’Orsay (kay dor-say), named after the building that houses the Ministry of foreign Affairs. The Ministry swarms with staffers with their own agendas and each one has something to say about what should be in the all-important U.N. speech. The voice of reason is embodied by the unflappable Claude Maupas; for this role Niels Arestrup won the 2014 César for Best Supporting Actor. If you follow French politics, I think you’ll get a big chuckle out of The French Minister, even if it did knock de Villepin off the pedestal I’d put him on. This entry was posted in Movies and tagged César, Dominique de Villepin, Niels Arestrup, Quai d'Orsay, The French Minister, Thierry Lhermitte. Bookmark the permalink. Pingback: Une maison témoin | One quality, the finest.